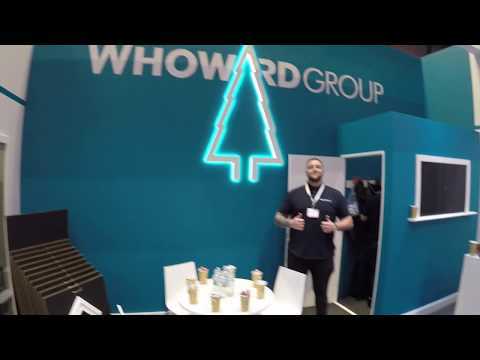 W Howard are a leading supplier of quality MDF profiles including skirting, architraves, window boards, door linings and more. As a first time exhibitor at the Jewson Live exhibition in Birmingham, they asked us to help deliver their exhibition stand. We delivered them an inviting space and used LED lighting to highlight their iconic logo. Minimal product displays and samples allowed visitors to get hands on with profile examples. Using a block colour on the rear wall with a high ceiling helps to make the space appear bigger and more inviting. And by not having a raised floor means visitors can wander freely in to the space.